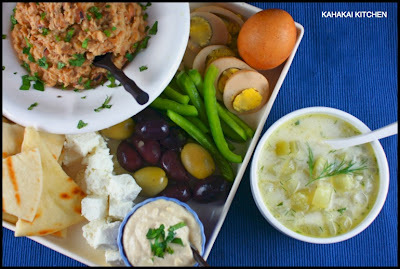 This meze/appetizer or as I like to call it...dinner, ;-) is a use-it-up-or-lose-it kind of dish. 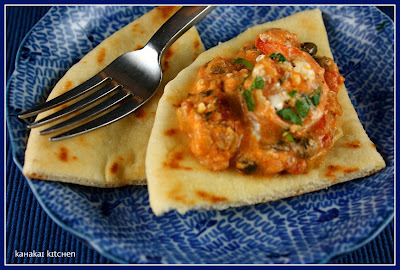 I had leftover feta in the fridge, a couple of green onions hiding in the veggie drawer, and pita bread and shrimps lurking in the freezer. 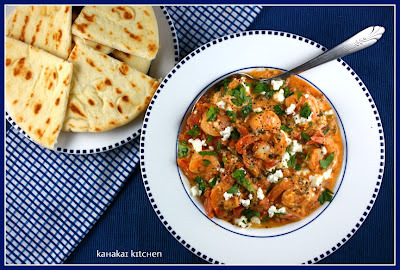 Greek food seemed the logical solution, and a look through Food From Many Greek Kitchens led me to Garides Saganaki, or Shrimp with Feta and Tomato. I made a few small additions/changes to the recipe such as reducing the amount of oil, adding a leftover half a green pepper, and it seems that a couple of tablespoons of capers just happened to make their way into the sauce as well. My changes are in red below. 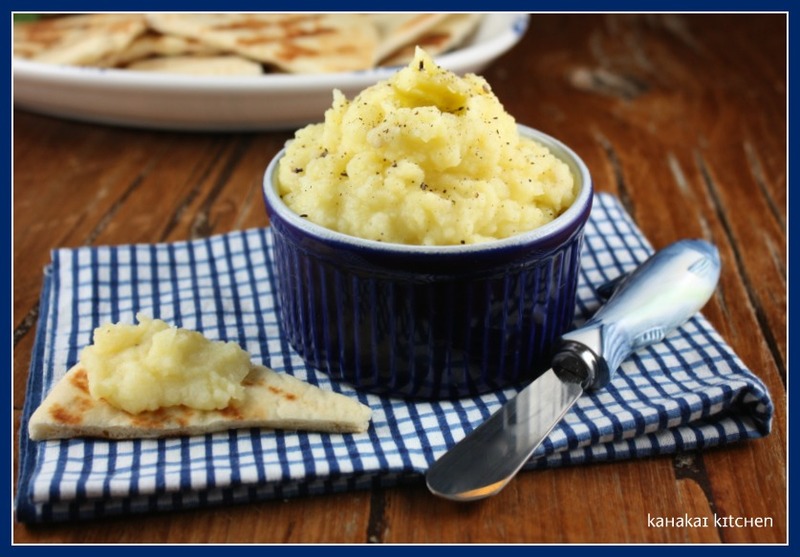 Tessa Kiros says, "I have seen these baked as well as made on the stovetop. This recipe has lovely strong, clean flavors, and it works well as a meze with other seafood dishes. You really just need some bread with it." Peel the shrimp, leaving the tails intact, and devein them using a toothpick. Heat the oil in a wide nonstick pan that has a lid and sauté the onion on medium-low heat until softened. Add the garlic and fry until it smells good, then add the tomatoes, half the parsley and some salt and pepper. Put the lid on and simmer for 10 minutes or so. 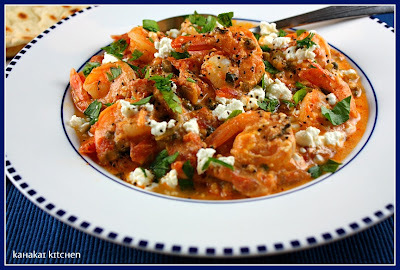 Add the shrimp to the pan and turn through to cover all of them with sauce. Simmer, covered, for 3 to 4 minutes. 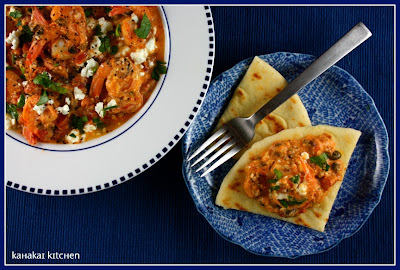 Scatter the feta in, put the lid back on and cook until the feta just softens, about 5 minutes, rocking the pan once or twice. Serve with a good grind of pepper and the remaining parsley scattered on top, and some lovely Greek bread. 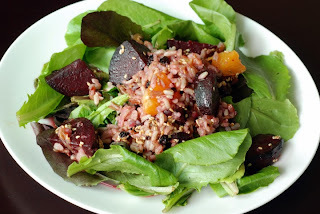 It's January Potluck over at I Heart Cooking Clubs this week. Check out the post for links to the fabulous potluck dishes the other IHCC peeps will be making. This month's Food 'n Flix movie selection is Eat Pray Love. A friend gave me the book by Elizabeth Gilbert when I was going through a life change of my own--leaving a longtime job that I was no longer loving, or even happy at and trying to figure out what I was going to do with the rest of my life. Basically trading security and money for passion and well... much, much less money. ;-) I liked the book. Many think it was self-indulgent and the author self-absorbed, and that's probably true, but I think when you are trying to find yourself and make sense of how you fit into the world, self-absorption is pretty much part of the deal. Although I couldn't afford to spend a year traveling the globe, I could relate to much of the "journey." Enjoying the book and being a big Julia Roberts fan, I fully expected to love the movie. Ehh... not so much. There is some gorgeous scenery, wonderful food, Julia is just fine, and I find a little Javier Bardem to be quite yummy, but damn that movie drug on... and on... and on...! Tragically, I bought it, thinking I would want my own copy. I watched it once and had to split that viewing into two parts. A friend asked to borrow it many months ago and keeps apologizing that she hasn't watched it yet. I don't mind. 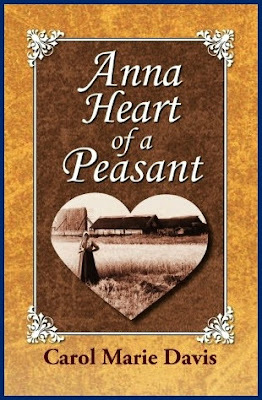 ;-) This is 180 degrees from when I loaned another friend my copy of the BBC version of Pride and Prejudice (Colin Firth... I swoon!) and I missed that DVD from the very first day I lent it out and kept enquiring about it. Had she watched it yet? Did she love it? Was she thinking of watching it soon and returning it? I have none of the same feelings for my copy of Eat Pray Love, which is why I didn't watch it again for this month's Food 'n Flix. Bad me, but once was more than enough. 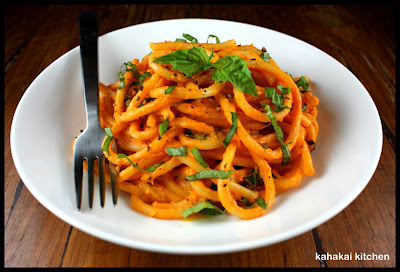 For my film inspired dish, I thought about making a Balinese dish or maybe some Indian curry, but I ended up with a strong pasta craving and a box of bucatini so Italian it was. I have had this Super Quick Tomato Basil Cream Sauce from Vegan Yum Yum: Decadent (But Doable) Animal-Free Recipes for Everyday by Lauren Ulm tagged to make for ages as I am into cashew cream right now. I am lucky enough to live where I can get locally-grown tomatoes and basil this time of year. Both help make this simple creamy sauce sing, so if you don't have access to good fresh tomatoes with flavor right now, bookmark this recipe and make it in the months when you do have them. 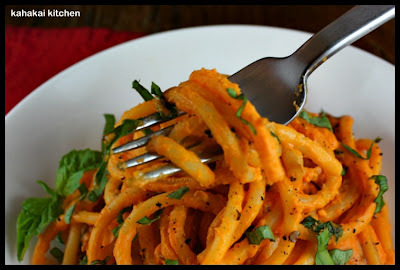 It is fast, easy, full of flavor and the way it coats the pasta and slips into the holes in the bucatini is wonderful. 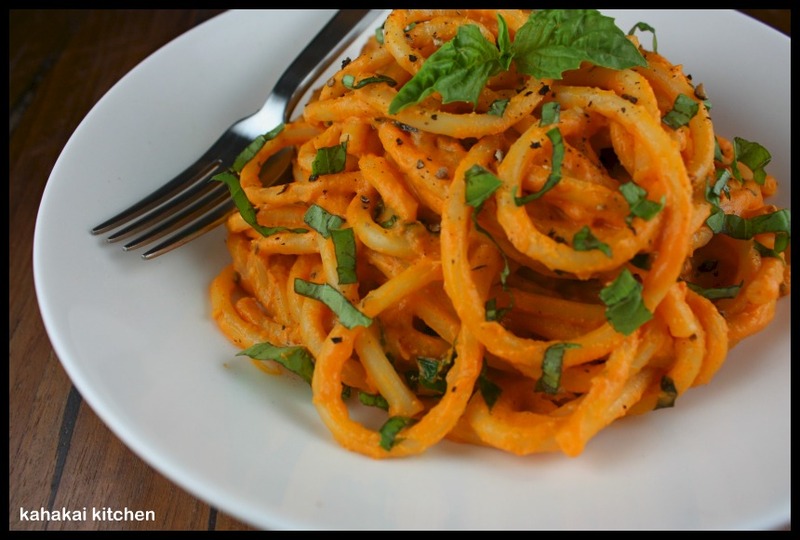 There are a few less calories in the 1/2 cup raw cashews and more healthy fats than in a 1/2 cup of heavy cream and whether you are vegan, vegetarian or carnivore--you'll love the sauce. Vegan Yum Yum says, "You can make this sauce in the time it takes to boil the pasta, so this simple sauce makes a 9-minute meal that's hard to beat. Cashews are the base of most of my favorite vegan cream sauces because they're very rich tasting and blend easily, allowing you to create a velvety smooth sauce in your blender." Bring a large pot of salted water to a boil and cook the pasta according to the directions on the box. As the pasta is cooking, core the tomato, then roughly chop it. Add it to your blender, seeds, skin and all. Add the cashews, water, and tomato paste. Blend until very smooth. Add the olive oil to a large sauté pan over medium-high heat. Add garlic and sauté until golden, being careful not to burn it. Pour the sauce from the blender into the sauté pan and bring to a simmer. Add the salt and let cook for 4 to 5 minutes, stirring occasionally. If desired add the wine or water to thin out the sauce. Taste and season, if necessary. Let it simmer until pasta is finished cooking. Once the pasta is cooked, drain it well. Add pasta to the sauté pan with the black pepper and freshly chopped basil leaves. Toss it to coat. 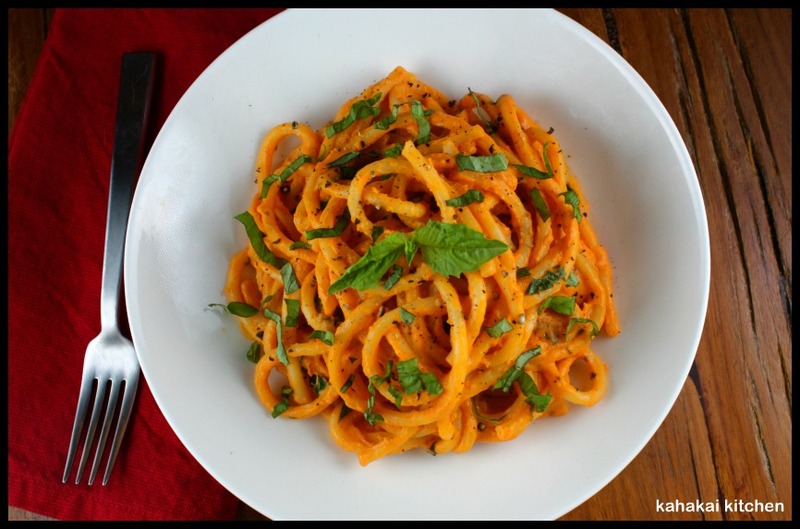 Serve immediately, garnishing with more pepper and basil. Notes/Results: One word... Mmmmm... 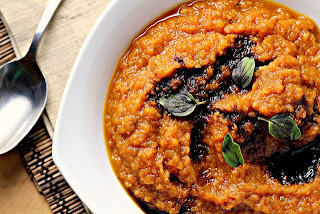 This sauce is decadent, creamy and has lots of great flavor. I did add all four cloves of garlic--how could I not?! I had a tube of sun-dried tomato paste that I think added more flavor than regular tomato paste and a pinch of crushed red pepper was a good little kick for the dish. The book says whole wheat spaghetti, but this sauce is so dense that I think a thicker pasta is the way to go. I loves me some bucatini. 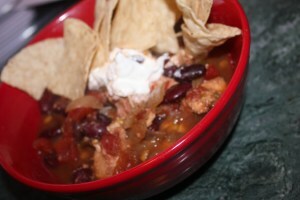 I could have possibly thinned the sauce out a bit more with white wine, but flavor-wise it was fabulous. I will definitely be making this one again. 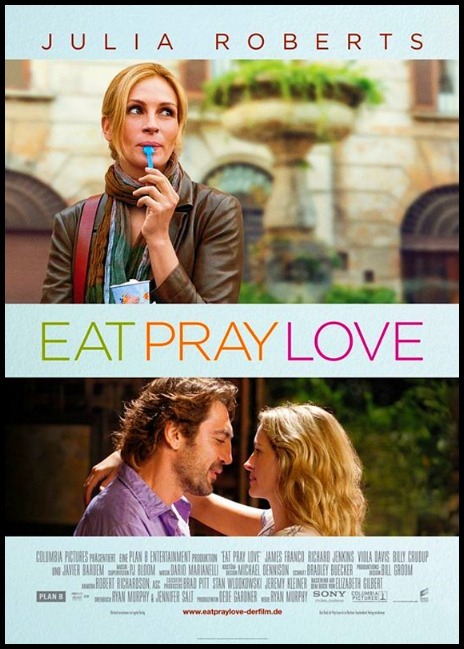 The deadline for this month's Food 'N Flix, pick Eat Pray Love, hosted by Elizabeth of The Law Student's Cookbook is January 28th. If you don't make the deadline for this one and you like food and movies, consider joining us for February. I am hosting and excited to watch and cook a dish inspired by one of my very favorite fun films, My Big Fat Greek Wedding. Opa! 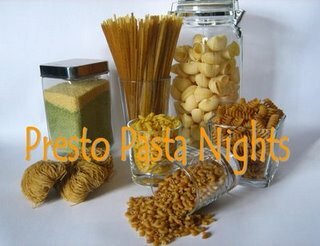 In addition to Food 'N Flix, I am sending this yummy pasta dish to Presto Pasta Nights founded by Ruth and being hosted by Emma of Souperior this week. Check out Emma's roundup post this Friday for lots of wonderful pasta dishes. Outlaw Cook, by John Thorne with Matt Lewis Thorne is a gem of a book, and our current selection for Cook the Books, the virtual foodie book club I co-host along with Rachel, The Crispy Cook and Jo from Food Junkie Not Junk Food. 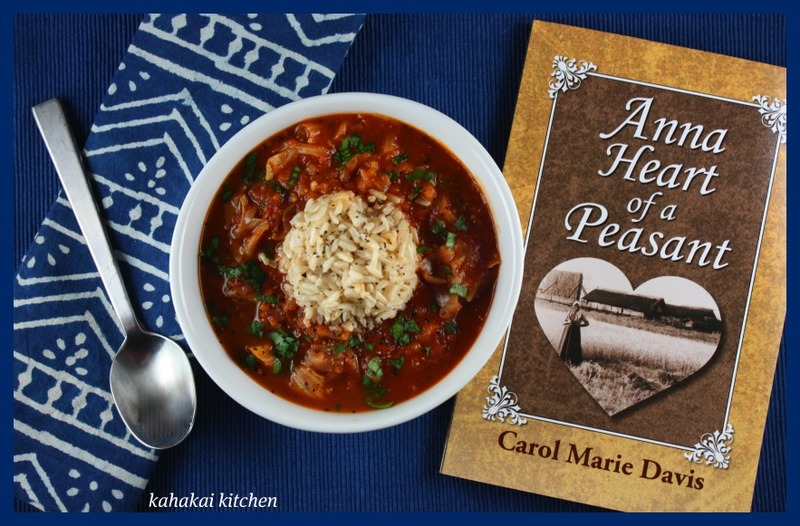 Outlaw Cook, Rachel's selection, is a series of essays on food and cooking that waxes poetic on everything from meatballs to bread, garlic soup to breakfast clafoutis, Martha Stewart to Paula Wolfert, the plowman's lunch to Dandan noodles. This is a book to be savored, tucked into before bed, or revisited when a spark of inspiration is needed. 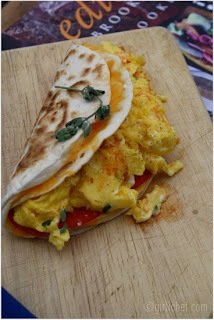 John Thorne is a food writer, who along with his wife Matt Lewis Thorne, publishes a bi-monthly newsletter called Simple Cooking, in addition to authoring several books. He writes honestly and engagingly. In his essay On Not Being a Good Cook, he states that he has acquired his cooking knowledge and skill on a need-to-know basis, leaving large gaps in his culinary knowledge, saying "Why do I write about food at all if I'm not an expert in the art of good cooking, nor do I want my readers to be? Because I don't think you have to be a good cook, or even aspire to be one, to be an interested cook." And later, after explaining that the opposite of a good cook isn't necessarily being a bad one, he says, "For what delights me about cooking is not getting things right but the simple pleasure of getting to know them in the first place"--getting excited over a new ingredient, or even a favorite one, the pleasure of sharing a meal and the experience with good friends. That is exactly the way I feel about cooking, and Thorne captures it well. There are many recipes tucked away in Outlaw Cook. I have been enjoying the simple process of How to Eat an Avocado: (a perfectly ripe Hass), halved, pitted with the halves on a bowl, drizzled with a spoonful of olive oil, a squeeze of lime, a few drops of Tabasco and a pinch of coarse salt. Ambrosial. 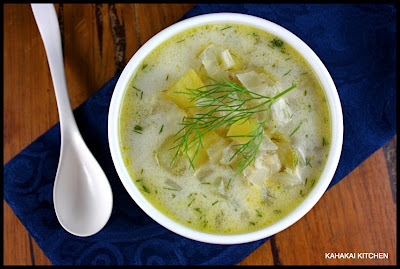 I loved the chapter on making Soup Without Stock and was intrigued by the Cucumber, Lemon and Dill Soup. Most of the cucumber soups I have enjoyed have been pureed or cold. This one sounded simple and good. Since we can get fresh, local cucumbers and dill year-round here, I knew I had to try it. 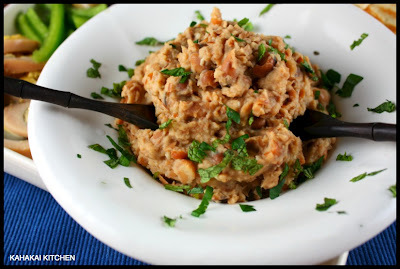 The Ful Medames chapter called to me as well. I became fondly acquainted with this hummus-like blend of small brown fava beans at a Middle Eastern cooking class and I stock cans of favas in my cupboard to whip it up as a quick appetizer or even light dinner. John Thorne's recipe calls for dried small fava beans which I was unable to find here to make it in time for this CTB round, so I made due with my canned beans. 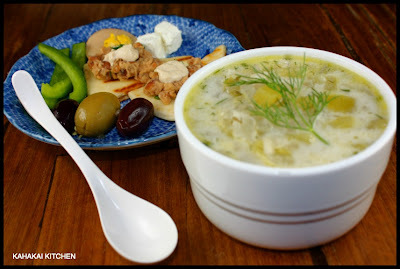 I thought a mezze plate of Ful Medames served with the Hamine Eggs (fresh eggs hard boiled for at least 6 hours with brown onion skins) and Tahini Sauce from the book, along with the suggested slices of green pepper, olives, feta, and plenty of pita would partner well with the flavors in the soup for a light dinner. Peel the cucumbers and cut into quarters lengthwise. With a spoon, scrape out the seeds. If these are few and tender, reserve--otherwise discard. Cut the cucumber into bite-sized pieces. Melt the butter in a skillet. Add the onions and cook until translucent. Do not brown. Add the cucumber and, gently stirring, sauté this for a minute or two. Then pour in 2 cups of water to make a broth. 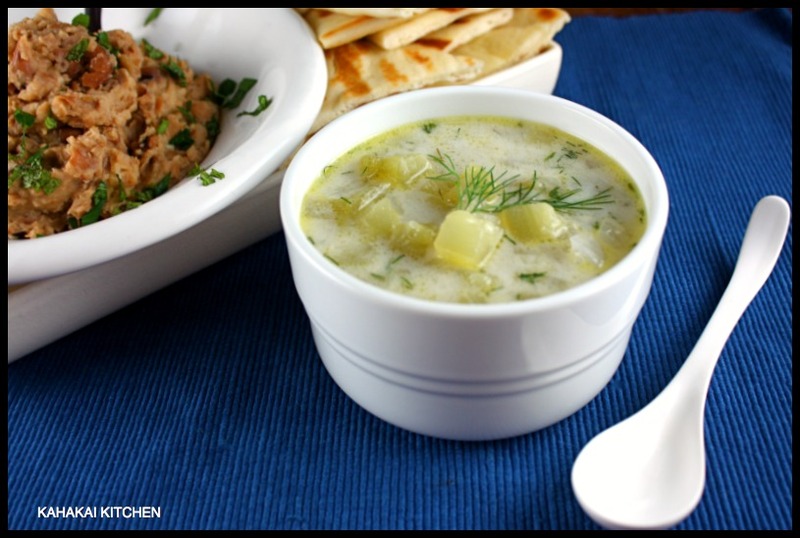 Stir in the minced dill, reserving 1 teaspoonful. Add the reserved cucumber seeds (if any) and small amounts of salt and sugar to bring out the taste of the cucumber. Cover and gently for 15 minutes. Then pour in the milk to complete the broth, and, when this has heated, stir in the lemon juice, a teaspoon at a time, until the broth acquires a mouth-pleasing zest. Add the reserved minced dill, grind pepper over, and let soup rest on lowest heat for 5 minutes before ladling it out. 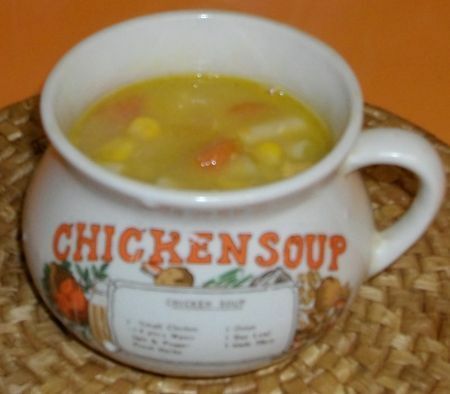 Cook's Note: The soup must simmer without ever boiling or the milk will curdle. (But don't worry if it does--the soup will still taste fine.) 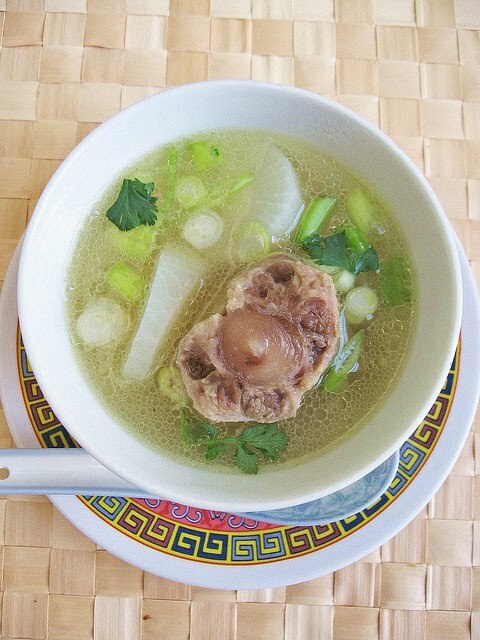 The milk broth serves to accentuate the rather elusive cucumber flavor, but the soup can be made with water alone for a more tart, herbal taste--or all milk, for a richer, more delicate one. Notes/Results: Having a love for the delicate and refreshing taste of cucumbers, lemon and dill, I was pretty sure I would like the soup, but I was a little surprised about how much I enjoyed it. The milk (I did a dairy-free version with almond milk), sugar and salt bring out the cucumber essence and the lemon and dill enhance it rather than overpower, and I even added some extra dill. 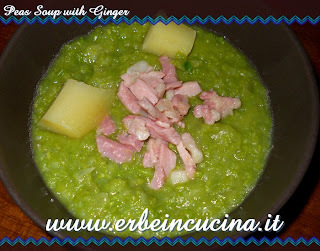 It's a light and refreshing soup, also quite good served cold (she says as she types this while sipping a cup). The Mezze Plate: The ful medames was simple and delicious--I added garlic and cumin to the olive oil, lemon juice and salt and pepper in the recipe and coarsely mashed it for texture. Since I usually just slap my ful medames on pita or use it as a spread it was fun to try out the different accompaniments on the plate. My Hamine eggs tasted great but were not too pretty, I had gray rings around the yolks--which were more crumbly than creamy. I blame myself--they were to cook at least 6 hours or overnight and mine were just at the 6 hours--I think they would have benefited from a longer cooking. Also, even on my simmer burner, it was hard to keep the water at a consistent "gentle simmer" on my gas stove. The tahini sauce is something I make a lot myself for vegetables and the like, but usually not with cumin as the recipe in the book called for and I will now be adding it to all my tahini sauces. This was a perfectly satisfying and delicious vegetarian dinner (vegan except for the feta). 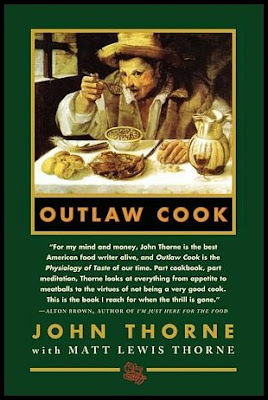 ;-) If you love food and food writing, grab up a copy of Outlaw Cook (I found mine on Amazon.com), and enjoy it. I will be on the prowl for more writing from John Thorne and Matt Lewis Thorne. Thanks to Rachel for picking this wonderful book and hosting this round. 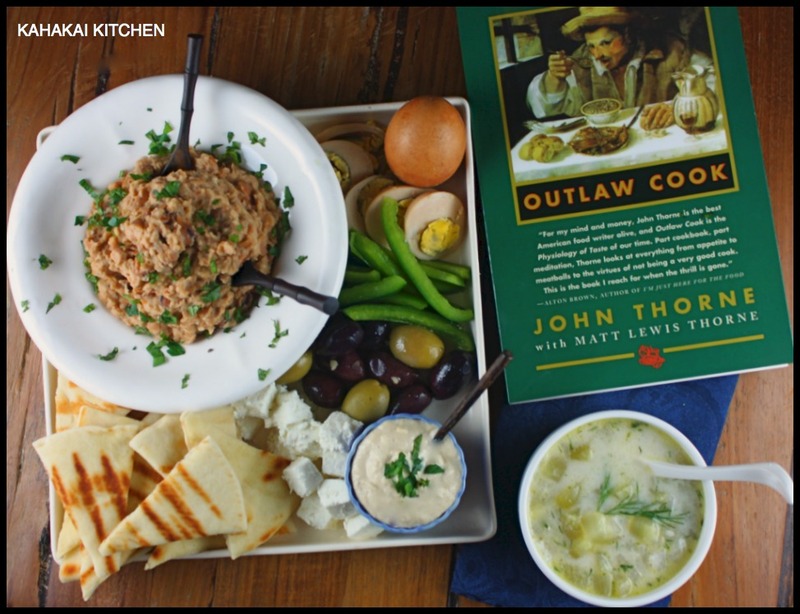 The deadline for Outlaw Cook is this Monday, January 23, but if you like to read and cook, please join us at Cook the Books for our next bi-monthly selection. For February-March 2012, I'll be taking us back to childhood and all things sweet with my pick of Charlie and the Chocolate Factory by Roald Dahl. We have some friends waiting in the Souper Sundays kitchen with wonderful dishes to share, let's take a look. 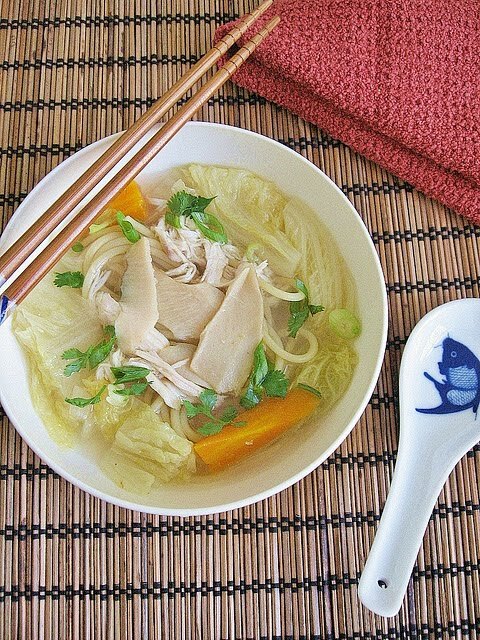 Tigerfish from Teczcape - An Escape to Food kicks us off this week and says, "Three simple ingredients - chicken, carrots and cabbage can make great tasting soup. Such is a soup that says home, comfort and warmth. 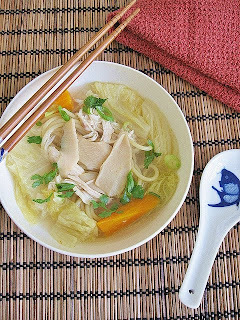 As I have been cooking more chicken soups/broths more recently (for recovery/healing, for nourishment, as winter food, for boosting immunity), this regular soup base makes it easy for me to put together a flavorsome noodle soup like this Napa Cabbage and Carrot Noodle Soup with Abalone and Shredded Chicken." 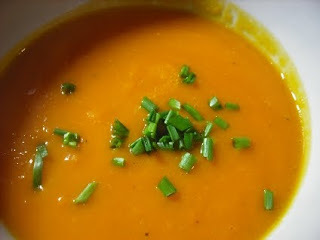 My friend Foodycat is here with a golden-hued Pumpkin Soup. She says, "I'm sure everyone has their favourite recipe for pumpkin soup. Because of the richness of the hachapuri (crusty bread stuffed with salty cheese), I wanted my soup to just be very, very simple. It's not at all lacking in flavour though. As it happens, the soup is vegan (not that it matters when there is this much cheese around...) but if you weren't making the hachapuri you could add a swirl of sour cream at the end." 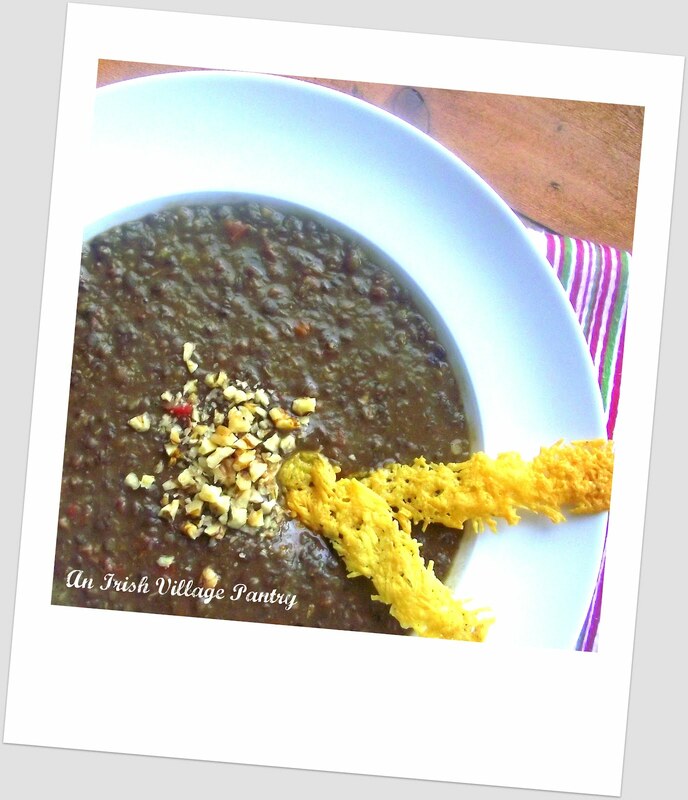 A new face to welcome to Souper Sundays is Sheelagh from An Irish Village Pantry, blogging all the way from Ireland and making her first appearance at Souper Sundays with this Puy Lentil & Walnut Soup with Parmesan Crisps. 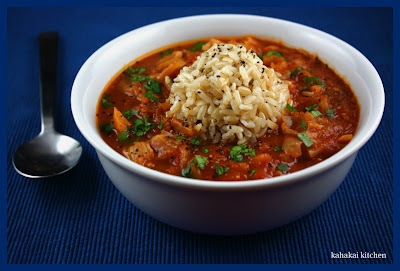 She says, "I love this delicious economic soup, which is filling and healthy and can easily be adapted to vegetarian tastes by replacing the chicken stock with vegetable stock and omitting the lean smoked bacon, replacing with 1 tsp of smoked paprika instead." Welcome Sheelagh! 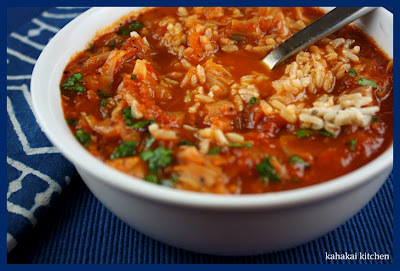 Welcome back Debby from A Feast for the Eyes who stopped in this week with her Hungarian Gulyas Soup--My Way. 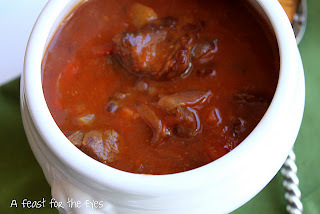 Debby says, "This is a rich beef soup, with a lovely balance of tomato and sweet paprika. The hot paprika comes through, in a subtle way, because I didn't add a lot of it. If you don't like bell peppers (which my son didn't, and he picked them out) then leave them out. My husband likes them, and liked the soup very much. The beef is so tender. 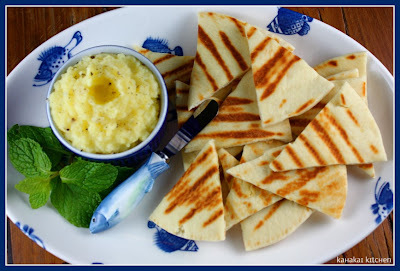 I wish I had cut the potatoes a little larger, but that's just a personal preference." Heather of girlichef made a Garlicky Chicken Soup inspired by fictional foodie bio, Anna Heart of a Peasant, and says, "This books ends with a small collection of recipes from or inspired by Anna's kitchen. 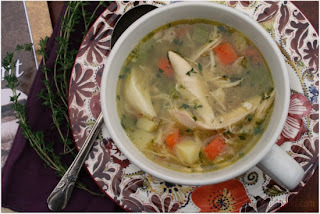 I would like to try them all from the Brown Bread to the Potato and Cheese Pierogies to the Cabbage Soup...but what I wound up making was a comforting pot of Garlicky Chicken Soup. 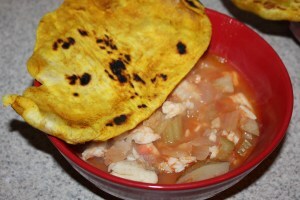 While not the exact recipe in the book, it is inspired by it and comes very close. 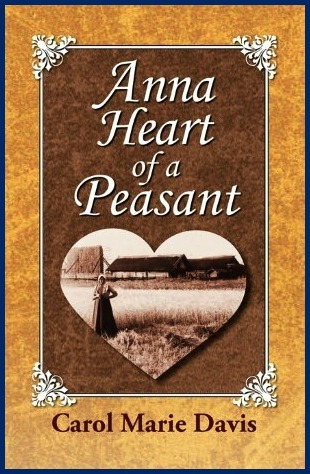 Just as Anna used garlic and herbs to treat the ailments of her family, I try to do the same. 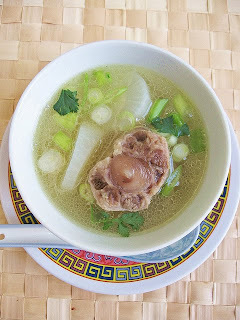 This helped to wipe out a few colds that were brewing on the horizon." Janet of The Taste Space has two entries. 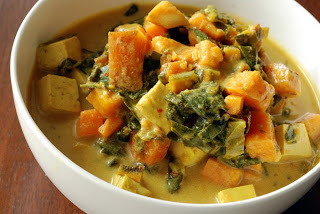 Her soup is this Jamaican Tofu Chowder with Collards. 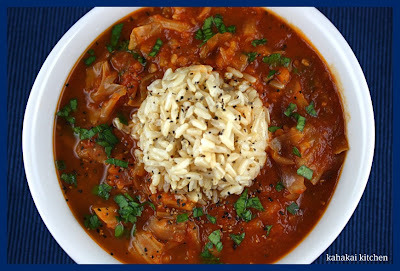 Janet says, "While there is definitely an Indian influence to this curry, this is a Jamaican curry that I spotted in Big Vegan. Lime-marinaded tofu chunks, sweet potatoes and carrots are combined with collards in a coconut-curry sauce spiced with thyme. Caribbean dishes can be quite spicy, but I still used 1 tbsp of curry powder. The coconut milk helps to tame the heat. However, I omitted the Serrano pepper in lieu of my favoured Aleppo chili flakes"
Janet also made this Crunchy Cabbage Salad with Orange-Tahini Dressing and says, "The nice thing about this salad is the dressing, which I adapted from My New Roots. Not mayo-laden like typical coleslaws. Rather, tahini is used as a creamy base and the sesame is highlighted by toasted sesame oil and freshly toasted sesame seeds. The fresh twist comes from the orange zest and fresh lemon juice. 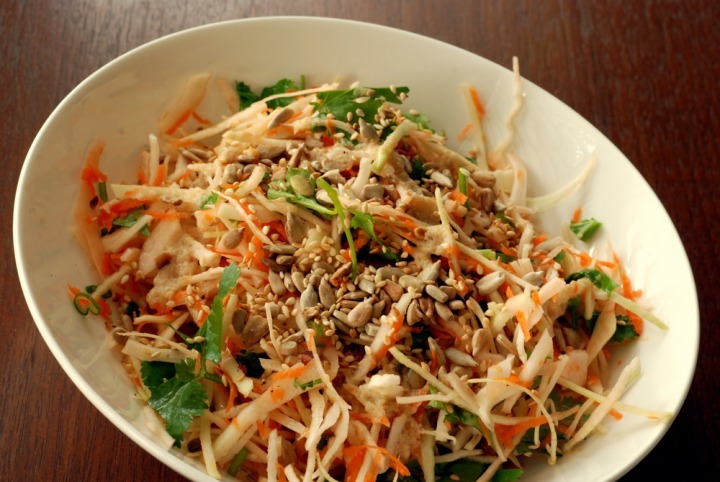 Cilantro perks up the salad with further crunch from sunflower seeds. The next day, I was sad I had none left and craved it once again… and so the cycle repeats itself!" Stash from The Spamwise Chronicles has two salads featuring eggs this week. 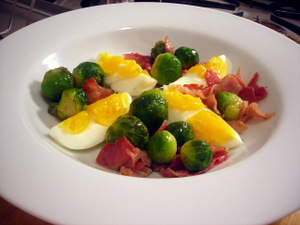 First is this delectable “Bacon and Eggs"--about which he says, "In the dead of winter, sometimes you need to be a little creative, particularly when there’s a dearth of greenery. It’s these kinds of moments where you have a limited ingredient palette that I find the most challenging and the most rewarding. This is a minimalist composed salad — a play, if you will, on the phrase “breakfast for dinner”. I hope you find it as enticing as I did." 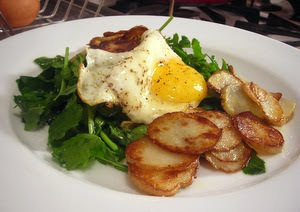 Stash's other salad is an Arugula and Bordeaux Spinach Salad with Fried Farm Egg that he serves with homemade salt-and-vinegar potato chips. Stash says, "Bordeaux spinach is an heirloom variety of spinach that’s sweeter and more tender than regular spinach. Substitute regular spinach if unavailable." 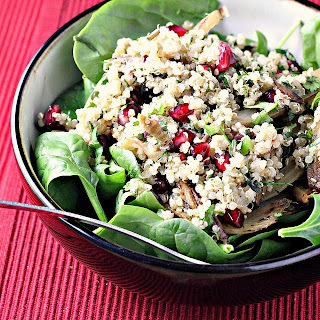 Joanne of Eats Well With Others made this Quinoa, Fennel and Pomegranate Salad and says, "A healthy lunch and a way to appease your mother's desire for you to be "more Italian"? 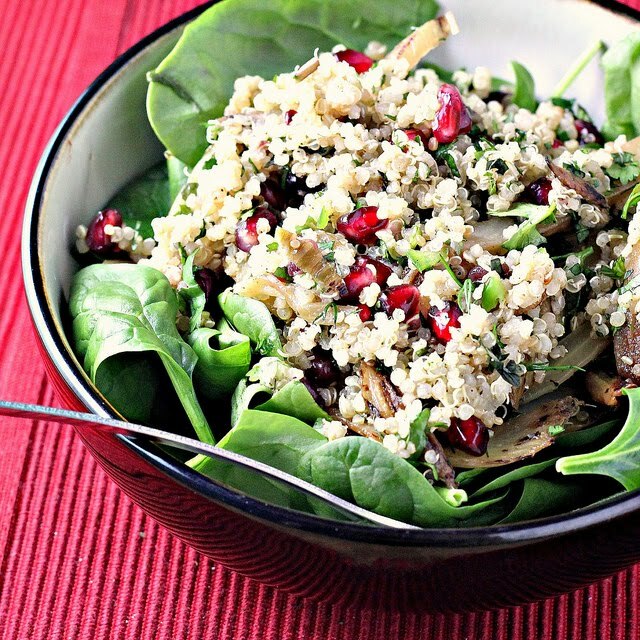 This quinoa, fennel and pomegranate salad does it all. Cooked fennel can’t help but caramelize from all of its natural sugars, turning it into a sweet savory pan of something truly delicious. This salad really capitalizes on those flavors by pairing them with earthy quinoa, tangy pomegranate arils and a lemon-y vinaigrette. Served over spinach, it makes for a satisfying lunch..."
Such delicious soups and salads this week--thanks to all the friends, old and new, who joined in. If you have a soup, salad or sandwich that you would like to share--just click on the Souper Sundays logo on the side bar for all of the details. We are cooking White as Snow foods over at I Heart Cooking Clubs this week and it seemed like a good time to rustle up some garlic and potatoes from the pantry, and whip up a batch of that creamy garlicky goodness from Food From Many Greek Kitchens. If you are iffy about garlic at all, this is not your dish. Eight cloves of raw garlic and the juice of two lemons give it a intense flavor. (Not a bad thing in my book!) 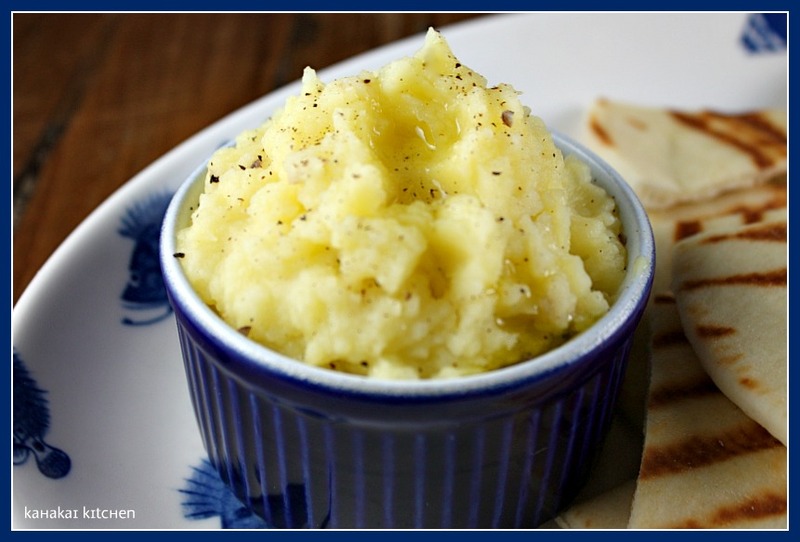 The creaminess of the potatoes and silky olive oil, even it all out. Pungent yes, but oh so very good. 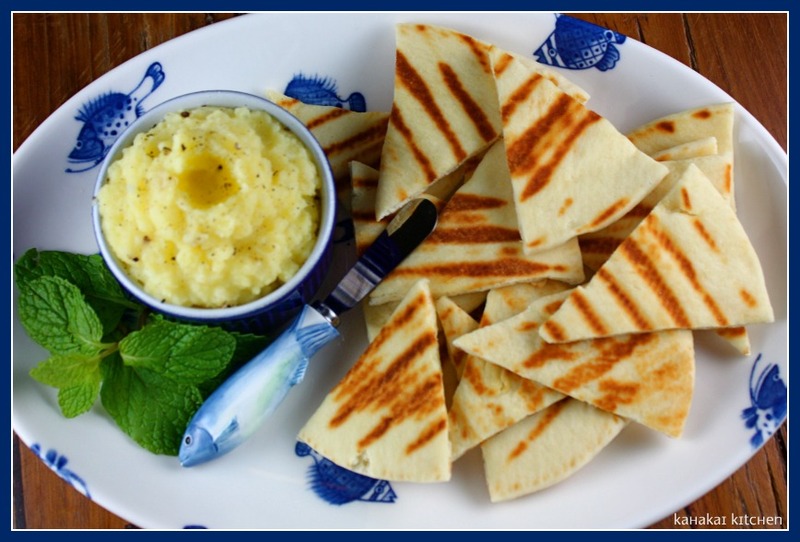 Serve it as a pupu (appetizer), or as a side dish with grilled fish or other protein. Boil the potatoes in their skins in salted water until soft. While they are cooking, crush garlic cloves with a little salt to a puree using a mortar and pestle. When the potatoes are just cool enough to handle, peel off their skins and pass the potatoes through a ricer into a tall bowl. Add the pureed garlic, and pour in the lemon juice and olive oil. Beat briskly with a wooden spoon until amalgamated and smooth. Season well with salt and pepper to taste; it needs a good amount of salt to bring out the flavors. Stir in 3 tablespoons or so of hot water or stock. Notes/Results: Easy and delicious. You may smell (and smell like) garlic for a few days after making this, but you'll enjoy it. ;-) I have had skordalia made out of bread and with almonds pureed and blended in, and it sometimes has a slightly sticky texture reminiscent of library paste. This simple version was creamier and I liked the softer texture. 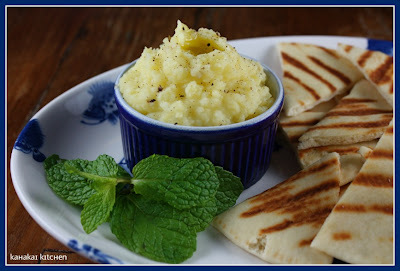 I used my grill pan to toast up some lovely pita bread and slathered the warm dip on top. A winner for me that I will make again. You can check out all the other White as Snow dishes by going to the IHCC post and following the links.